Mt Stirling victoria - cross country skiing at its best. Mount Stirling is a cross-country and backcountry ski resort in the Australian state of Victoria approximately 230 km from Melbourne. 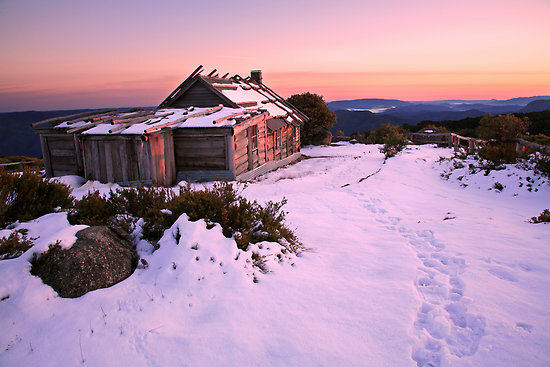 Mount Stirling is a popular location for beginner backcountry skiers and snowboarders due to its distance from Melbourne and proximity to the Mount Buller resort. Mount Stirling Alpine Resort is an Unincorporated area of Victoria; the larger surrounding locality of Mount Buller is part of the Shire of Mansfield. It is located at the head of the Delatite River, which flows westwards. It is surrounded by the Stirling Circuit Road, which provides access to mountains further into the Victorian Alps. In winter the road is closed at Telephone Box Junction, from which it is generally possible to ski to reach the summit (depending on conditions it is sometimes necessary to walk the lower section). The mountain has fantastic views across to nearby Mount Buller as well as the high range that runs from Mount Cobbler through Mount Speculation and the Cross cut Saw and Mount Howitt. From there the range swings westwards, finishing in The Bluff, an impressive tilted plateau that has large clifflines on its northern side. The lower reaches of the mountain are dominated by Alpine Ash forests, which merge into Snowgum Woodlands above about 1,400 metres. There is a small part of the summit area which sits above treeline.